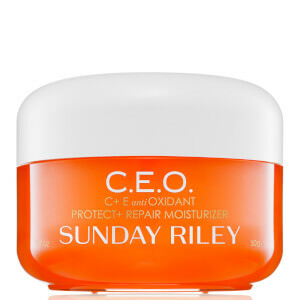 Achieve younger-looking skin with the C.E.O. 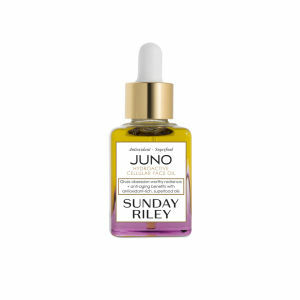 Vitamin C Brightening Serum from Sunday Riley. The innovative formula specifically targets the five signs of aging: sensitivity, dehydration, dullness, uneven skin tone and wrinkles, in order to promote a brighter, youthful complexion. 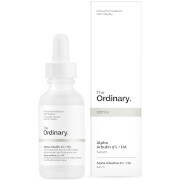 Vitamin C reduces the appearance of dark spots, a Phytosterols Complex to soothe sensitive skin and Saccharide Isomerate Extrace improves the look of pores. The serum also helps to combat hyperpigmentation and to balance the skin tone for a complexion which is smoother, healthier and more radiant. After cleansing, apply to dry skin and gently massage into face and neck. Aqua (Water), Tetrahexyldecyl Ascorbate, Squalane, Peg-8 Beeswax, Hydrogenated Polydecene, Polyglyceryl-6 Distearate, Ppg-12/Smdi Copolymer, Phenoxyethanol, Acetamidoethoxyethanol, Jojoba Esters, Sodium Acrylate/Sodium Acryloyldimethyl Taurate Copolymer, Glycine Soja Sterols, Tocopherol, Glycolic Acid, Caprylyl Glycol, Sodium Phytate, Citrus Aurantium Dulcis (Sweet Orange) Oil, Chlorphenesin, Cera Alba, Glycerin, Isosqualane, C30 Hydrocarbons, Saccharide Isomerate. 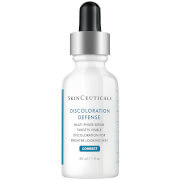 I use this serum day and night and have done now for the past 6 months. It is incredible! I've noticed a real improvement in the brightness and plumpness of my skin. Well worth investing in for your regime. 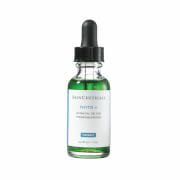 Oh how I LOVE this serum. It goes on more like a cream or lotion, it smells amazing and absorbs almost instantly! I struggled with dull skin and within a week of using this every morning people were telling me that my skin looked good. I can tell the difference in my skin when I stop using this. It's like vitamins for your skin. Must have for the winter months.